Editor's Note: This column originally appeared on FoxNews.com. After the third presidential debate, President Trump became the clear pro-life pick for president in 2016. Trump denounced the torturous and horrifying practice of partial-birth abortion, explaining the process with stomach-churning detail, while Hillary Clinton ‘robotically’ defended aborting the child in the ninth month. This moment was a turning point in the election. A quarter of Americans said that the debates were the ‘most important factor’ in their decision to vote. I strongly believe, as others have surmised, Trump’s pro-life commitments made the critical difference in his election. Among evangelicals and Catholics (which are both strong, pro-life communities), Mr. Trump received significantly more support than Mr. Romney – in large part, because of his adamant defense of the pro-life position. Trump’s defense was openly stronger than any Republican presidential nominee in decades. There were multiple promises Trump made to the pro-life community that helped him get elected. First, he promised to nominate a pro-life Supreme Court Justice in the mold of Justice Scalia. He fulfilled that promise when he nominated Neil Gorsuch to the Supreme Court. Once he was nominated, the Republicans in the Senate knew it would be political suicide to allow Democrats to use the arcane and self-serving Senate rules to block a fair up or down vote upon Trump’s promised pro-life justice. When threatened with a never-ending judicial filibuster by Schumer and company, McConnell went ‘nuclear’ and changed the arcane Senate rules to remove the judicial filibuster. Conservatives point to this act as the chief political victory we have achieved so far in 2017. 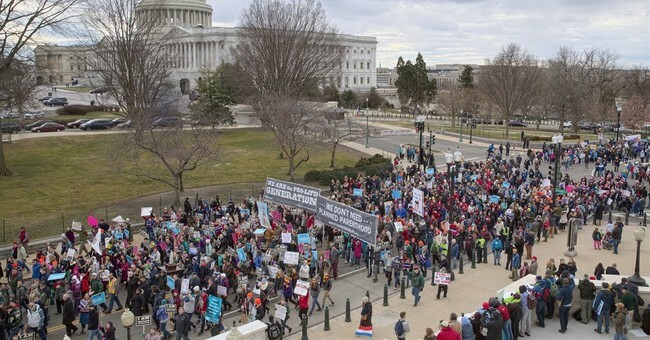 But there’s another promise that yet remains unfulfilled: candidate Trump committed to “Signing into law the Pain-Capable Unborn Child Protection Act, which would end painful late-term abortions nationwide.” That bill has passed the House with overwhelming support. In order to help Trump fulfill this promise to the American people and the pro-life community that elected him, Senate Republicans must put aside their self-serving 60 vote Motion to Proceed rule and do what it takes to pass the Pain-Capable Unborn Children Protection Act. The Pain-Capable Unborn Children Protection Act, except in rare circumstances, prevents any person from performing an abortion from the beginning of the sixth month of pregnancy forward, when all credible experts know the preborn baby can feel pain. This bill would prevent the ghastly practices Trump described in that pivotal third debate – the practices that Clinton ardently defended and made her look so inhumane and out of touch with the mainstream of America on this issue. American voters agree – no pain-capable baby should have to undergo agonizing dismemberment in an elective late-term abortion. House leadership should be applauded for bringing this bill to the floor. But, the House has passed the Pain-Capable Unborn Child Protection Act before only to see it disgracefully languish in the Senate without even a debate or fair up or down vote. Senator Majority Leader Mitch McConnell has stunningly allowed Democrats to use arcane Senate rules to gridlock this incredibly reasonable pro-life bill just as they were determined to gridlock a pro-life justice like Neil Gorsuch. Mr. McConnell’s correct actions to force an up or down vote on Neil Gorsuch have demonstrated that the principled debate on this asinine 60-vote rule (that Democrats will change when they regain control) is now over. In the name of humanity and all that America stands for, Mr. McConnell must now also ensure a prompt fair up or down majority vote on the Pain-Capable Unborn Child Protection Act. To do less is to allow this insidious and unthinkable carnage to continue, and to betray the very most essential hope the Party of Lincoln represents to America - and the very most helpless among us.